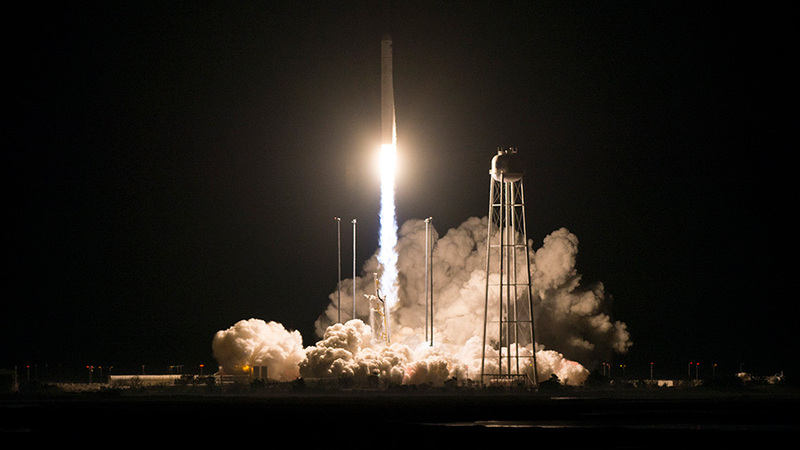 Northrop Grumman’s Antares rocket carrying the Cygnus cargo spacecraft lifted off at 4:01 a.m. EST and is on its way to the International Space Station. At about 5:45 a.m., commands will be given to deploy the spacecraft’s solar arrays. Coverage will continue on NASA TV at http://www.nasa.gov/nasatv at 5 a.m. for solar array deployment, which is expected to last about 30 minutes. A post-launch news conference will follow and is scheduled to begin on NASA TV at approximately 6:30 a.m.